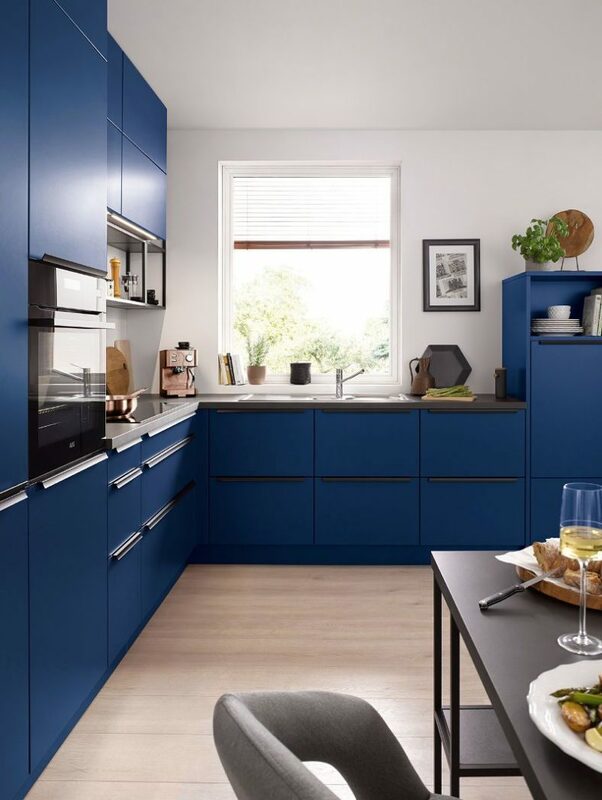 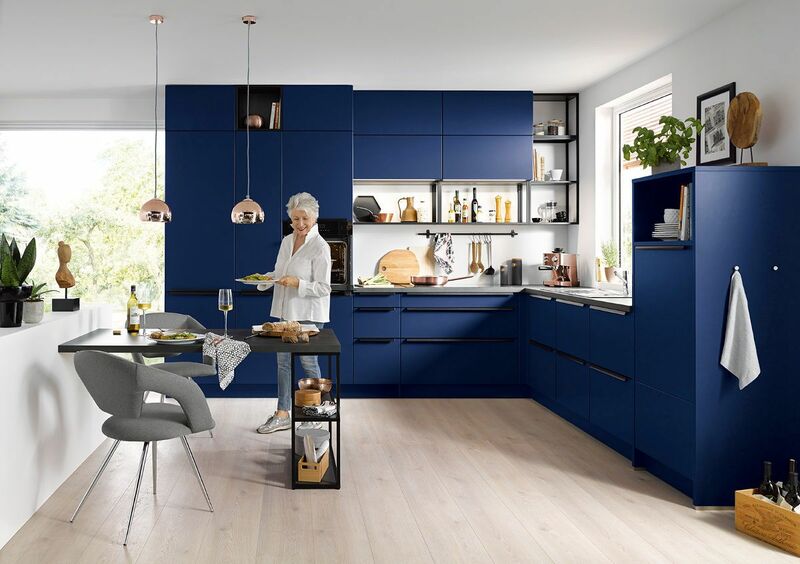 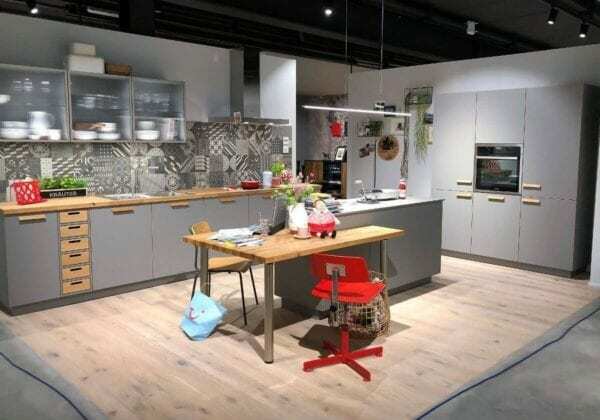 Aqua blue is the gorgeous new deep blue colour from Schuller kitchens in the brand new for 2018 finish of Matt, the perfect accent colour to enliven your kitchen. 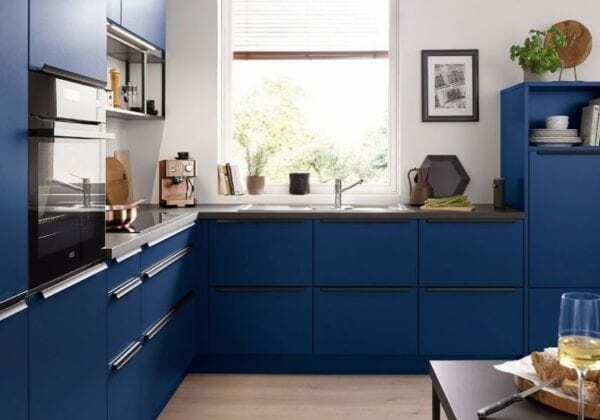 Matt is a lacquered finish which is velvety smooth to the touch. 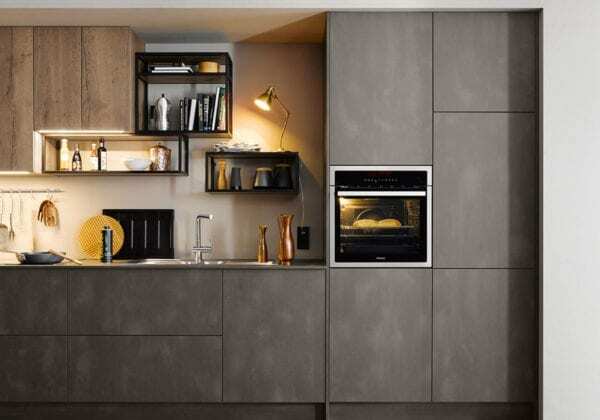 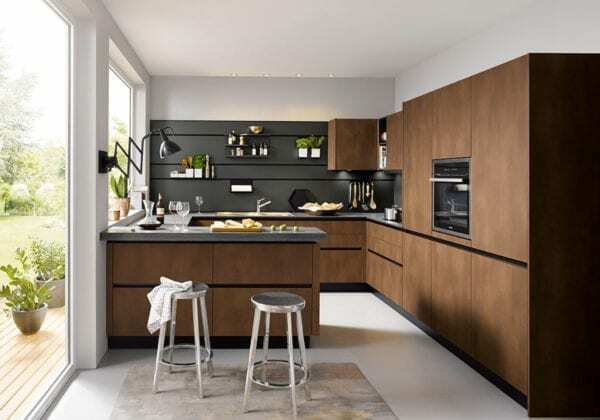 The images also show Onyx black grip ledge handles and open shelving in the new black metallic finish.